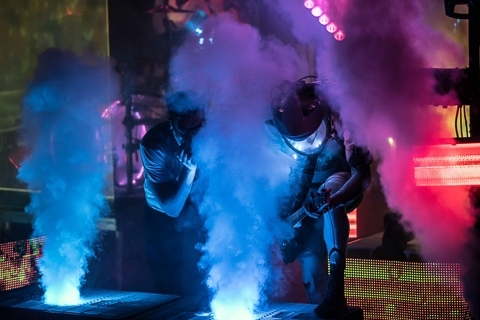 Starset’s Immersion: Part One tour made its second-to-last stop in Nashville at The Cowan, which is a brand new venue located at the Topgolf sports entertainment attraction. The Cowan definitely felt new and already has a long lineup of other great shows in the near future. It’s a smaller room, but it didn’t feel too crowded and it was easy to see the stage from nearly anywhere. 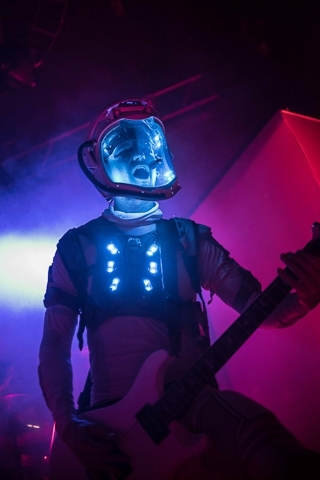 There was a unique mix of bands to support Starset on this tour. Year of the Locust was a heavier rock band that reminded me of bands like Sevendust, Gemini Syndrome, and Five Finger Death Punch. However, Grabbitz was vastly different. He performed a set of his catchy EDM/Dance songs from an area in the crowd in front of the barrier, since there wasn’t enough room on stage for his setup. Next was the pop/rock band Palisades. I had a chance to see them once before when they were in Knoxville with Nothing More last year, so I was happy to hear them perform plenty of songs from their latest self-titled album, including “Aggression,” “Cold Heart (Warm Blood),” “Dark,” and “Let Down.” I think the support on this show really complimented all the best parts of Starset’s music. One thing to keep in mind is that Starset does not call their performances “shows,” “concerts,” etc. 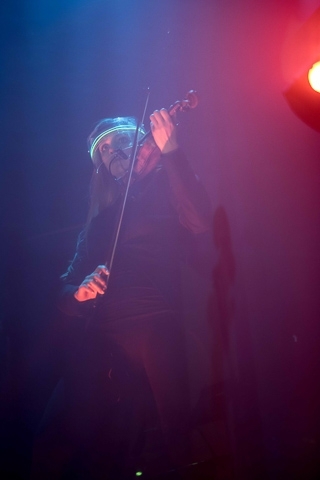 They have “demonstrations” to spread the message of the Starset Society, which wants to inform humanity about the future and technology through music and other art forms (a novel and a Marvel graphic novel are available to spread the message as well.) 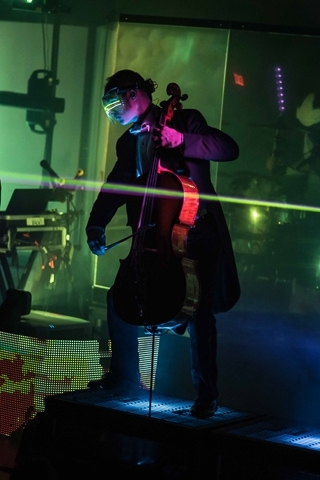 This means Starset’s demonstrations are visually spectacular and full of references to science, astronomy and technology. 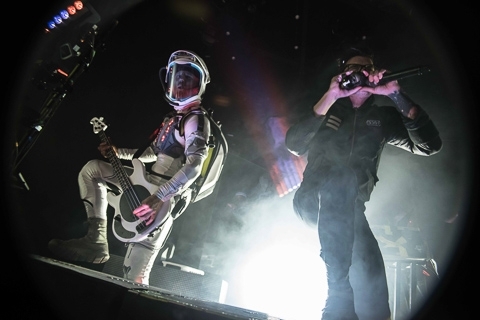 Starset’s Nashville demonstration began with a countdown until fans could launch an app on their phone, which uses augmented reality to put the show in space. 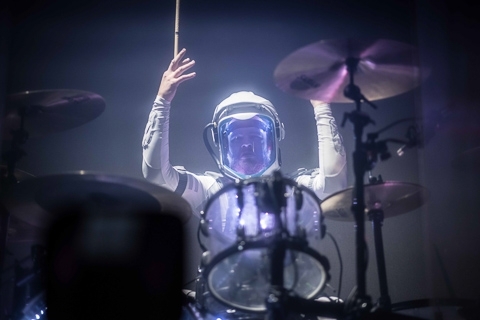 Most of the band members are clad in spacesuits and lighted visors, but it’s not as cheesy as some might expect. 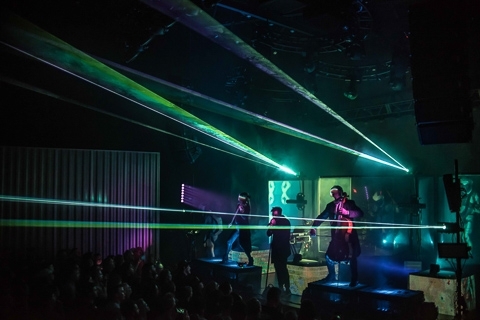 Frontman Dustin Bates was all over the stage, switching between a normal microphone and a handheld radio to create different vocal effects, while screens around the drum kit, violinist, and cellist displayed images from space and the band’s music videos. 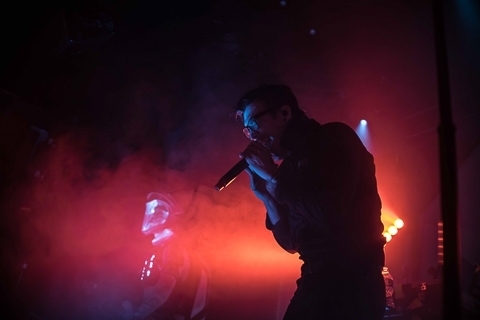 Starset performed their biggest hits, along with a lot of material from their first album that they normally don’t have a chance to do while supporting other headliners. 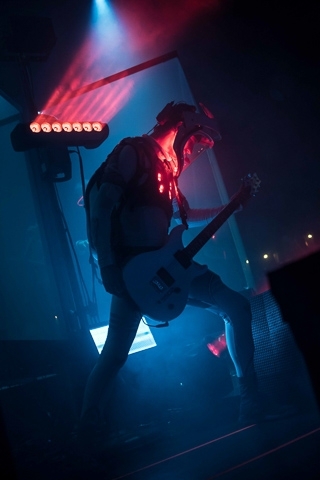 Songs included “Satellite,” “Point of No Return,” “Last to Fall,” “Telescope,” “Ricochet,” “Monster,” “Carnivore,” along with unplugged versions of “Telepathic” and “Starlight.” Dustin mentioned near the end that Starset doesn’t really do encores, so the show concluded with their biggest hit “My Demons” before static blasted through the speakers and the screens displayed SIGNAL LOST. I may be biased because Starset is one of my favorite bands to see live, but this really is the best I’ve heard them sound in person. I also appreciate that violinist Siobhán Cronin and cellist Jonathan Kampfe had their own chances to shine by coming out to the front of the stage for unplugged songs. Starset demonstrations are best experienced in person, since it almost feels like entering a different world. 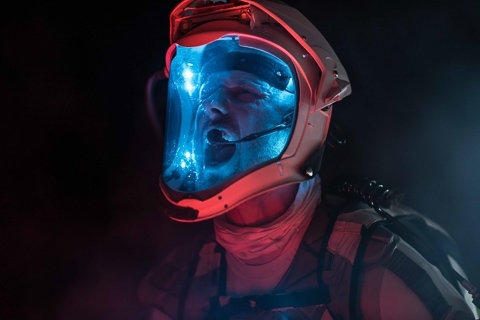 Dustin Bates has led Starset into being one of the most unique bands in rock music today, and the band is also encouraging fans to learn more about science and technology. This is the third demonstration I’ve attended, and every one so far has been a very moving and refreshing experience.